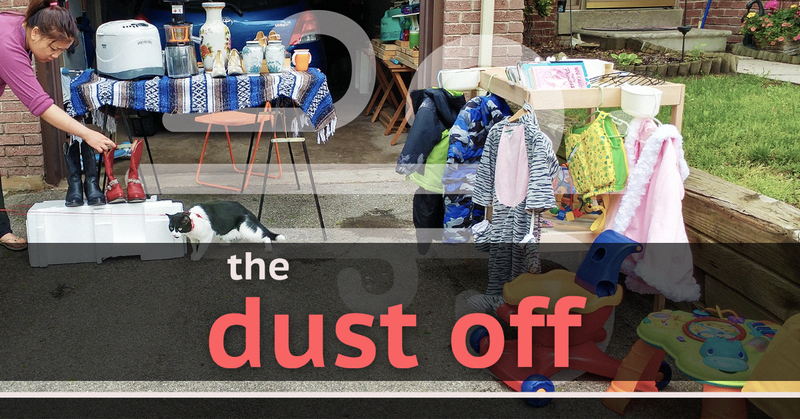 Yard Sales, Garage Sales, Tag Sales – whatever you want to call it. The last of the original Dust Off hosts takes his final stand in this season finale. Steve and his wife, Steph (triumphantly returning from her last appearance at the helm of the show) take part in their neighbourhood yard sale, with… varying results. Will Steph’s romantic dream of what a yard sale should be survive the day? Will the slow drive-bys from their neighbours amount to anything? Will anyone end up buying their old food processor? Tune in to find out!